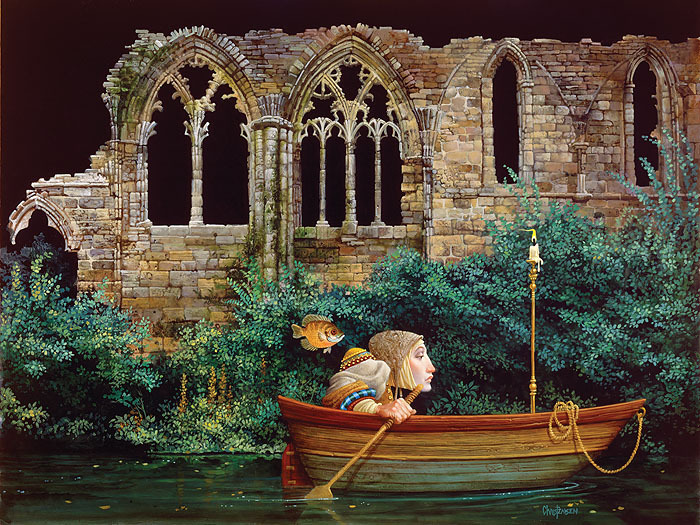 I have used a voyage on a river as a metaphor for the journey of life in many of my paintings,” says James C. Christensen on "Passage by Faith." “Sometimes we travel alone, sometimes with friends and family and often with a mixed group of strangers, human and not so. But the journey is inevitable, and our task is to make the best of the ever-changing voyage. We don’t always control the river, but we often have choices that determine what will happen next on our odyssey.